American earth magnetosphere satellite. Radiation, micrometeoroid data. Status: Operational 1959. First Launch: 1959-04-14. Last Launch: 1959-09-18. Number: 4 . Vanguard (20in Magnetometer, X-Ray, Environment) Science satellite built by Naval Research Laboratory (NRL) for NASA, USA. Launched 1959. Family: Earth, Magnetosphere sat. Country: USA. Launch Vehicles: Vanguard. Launch Sites: Cape Canaveral, Cape Canaveral LC18A. Agency: USN. Bibliography: 126, 2, 279, 4192, 6, 7013, 13326. 1959 April 14 - . 02:49 GMT - . Launch Site: Cape Canaveral. Launch Complex: Cape Canaveral LC18A. Launch Pad: LC18A. Launch Vehicle: Vanguard. FAILURE: Stage 2 damaged at separation.. Failed Stage: 2. Vanguard 3A - . Payload: Magnetometer satellite. Mass: 10 kg (22 lb). Nation: USA. Agency: NASA. Program: Vanguard. Class: Earth. Type: Magnetosphere satellite. Spacecraft: Vanguard 3. Decay Date: 1959-04-13 . Apogee: 100 km (60 mi). 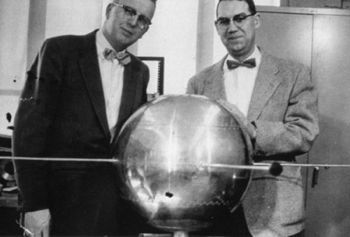 30-inch Sphere - . Payload: Air density satellite. Nation: USA. Agency: USN. Program: Vanguard. Spacecraft: Vanguard 3. Apogee: 100 km (60 mi). 1959 June 22 - . 20:16 GMT - . Launch Site: Cape Canaveral. Launch Complex: Cape Canaveral LC18A. Launch Pad: LC18A. Launch Vehicle: Vanguard. FAILURE: Stage 2 propulsion malfunction.. Failed Stage: 2. Vanguard 3B - . Payload: Radiation Balance satellite. Mass: 10 kg (22 lb). Nation: USA. Agency: NASA. Program: Vanguard. Class: Earth. Type: Magnetosphere satellite. Spacecraft: Vanguard 3. Decay Date: 1959-06-22 . Apogee: 140 km (80 mi). 1959 September 18 - . 05:20 GMT - . Launch Site: Cape Canaveral. Launch Complex: Cape Canaveral LC18A. Launch Pad: LC18A. Launch Vehicle: Vanguard. Vanguard 3 - . 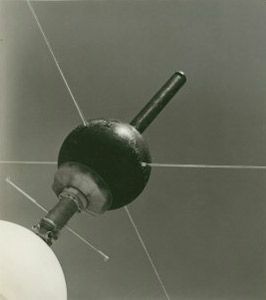 Payload: Vanguard 3C / Magne-Ray satellite. Mass: 23 kg (50 lb). Nation: USA. Agency: USN. Program: Vanguard. Class: Earth. Type: Magnetosphere satellite. Spacecraft: Vanguard 3. USAF Sat Cat: 20 . COSPAR: 1959-Eta-1. Apogee: 3,413 km (2,120 mi). Perigee: 512 km (318 mi). Inclination: 33.40 deg. Period: 126.40 min. Radiation, micrometeoroid data. Third stage failed to separate from payload. 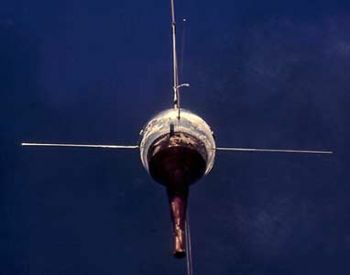 The TV-4BU burned-out third stage was left attached to the payload since the fiberglas case did not adversely affect the experiments..